Radiolaria are protozoa that produce intricate mineral skeletons. These skeletons, found as zooplankton throughout the ocean, usually have a central capsule that divides the cell into inner and outer portions of endoplasm and ectoplasm. The cell nucleus is in the endoplasm, while the ectoplasm is filled with frothly vacuoles and lipid droplets. Radiolarians are incredibly buoyant due to their needle-like pseudopodia that are supported by bundles of microtubles. 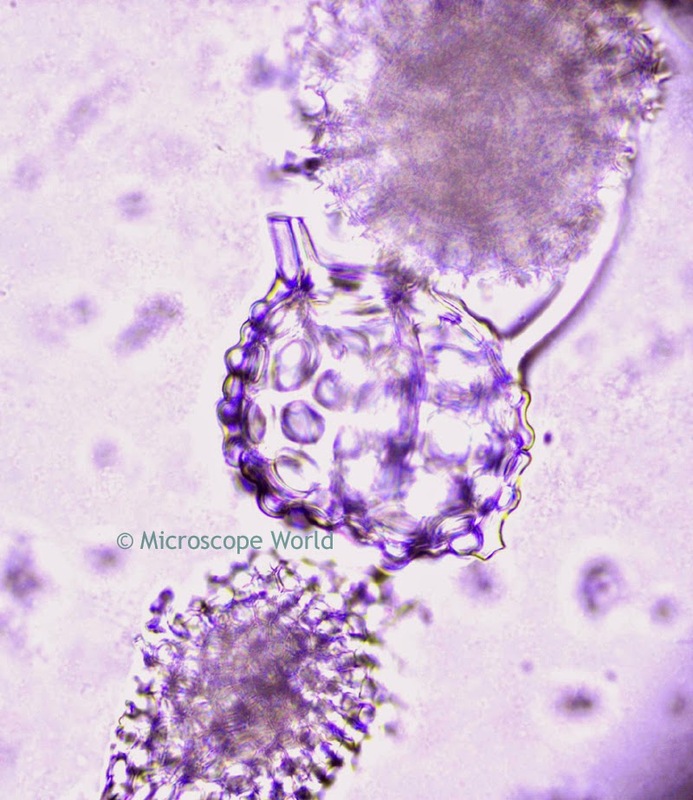 Radiolaria captured at 100x magnification under a biological microscope. 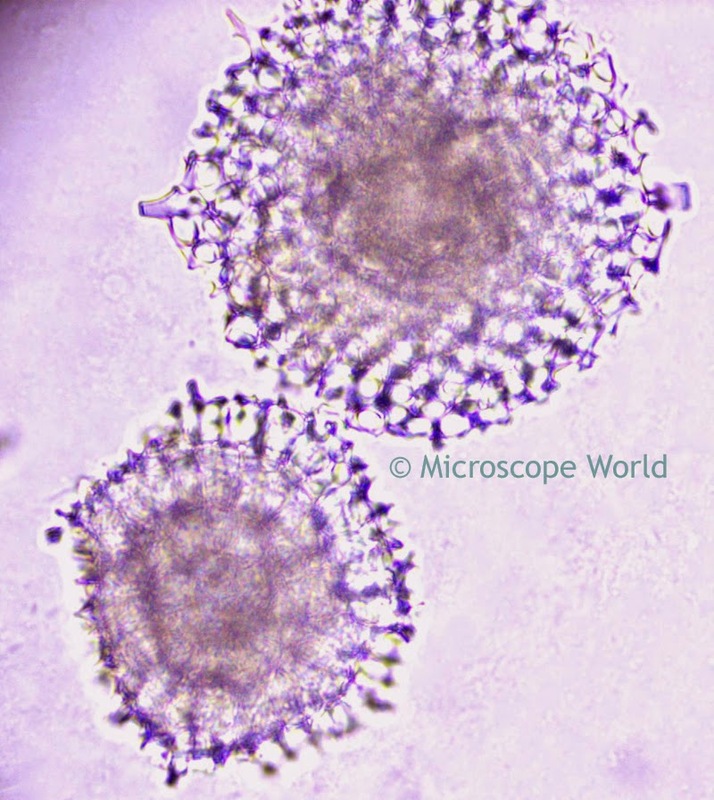 These images of Radiolaria were captured using the Richter Optica U2 biological microscope with a 5 mega pixel microscope camera. Ninety percent of radiolarian species are extinct. 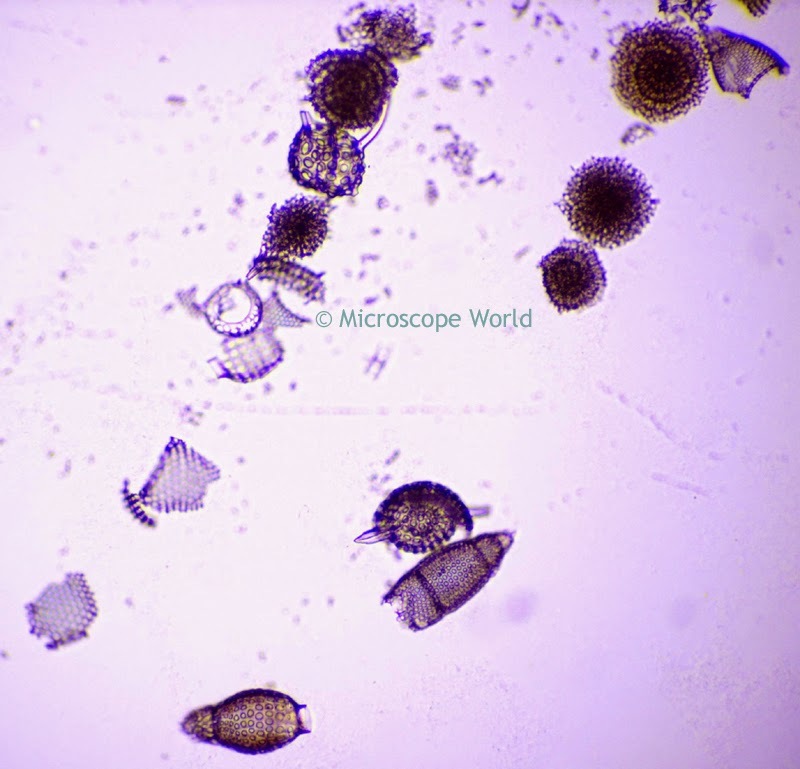 The skeletons of ancient radiolarians are used in geological dating, including for oil exploration and determination of ancient climates. 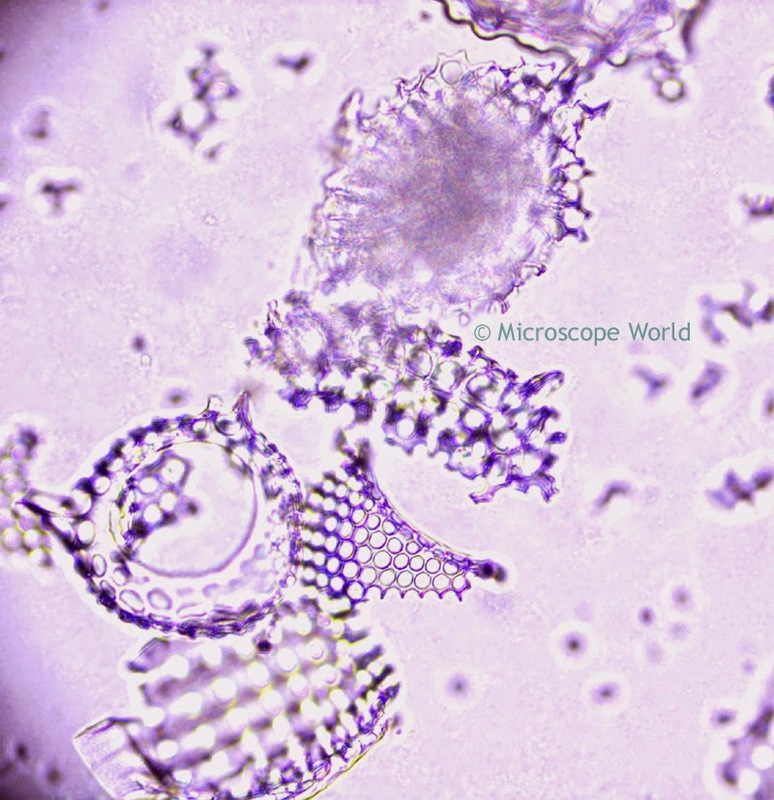 Higher concentrations of dissolved carbon dioxide in sea water dissolves the Radiolaria's delicate structure, seen as fractured scattered pieces under a microscope.